VINYL ON VINYL: COLLECTIVE ART FAIR on Feb 25! COLLECTIVE ART FAIR on Feb 25! 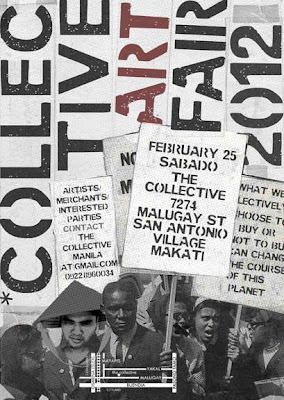 Check out the first Collective Art Fair on Feb 25, Saturday 10am onwards at The Collective 7274 Malugay St Makati. One day of food, art, music, toys, bikes, boards, clothes, bags, accessories, and more! !